Rather than packing up and whisking away for a tropical getaway, Monse's Resort 2019 collection was strategically shot in the company's shipping facilities. Surrounded by packing boxes and racks of overalls, trenches, and cargo pants, Fernando Garcia and Laura Kim shot the entire line this way to support one of Monse's newest slogans: "Monse LLC, Your Wardrobe Builders." 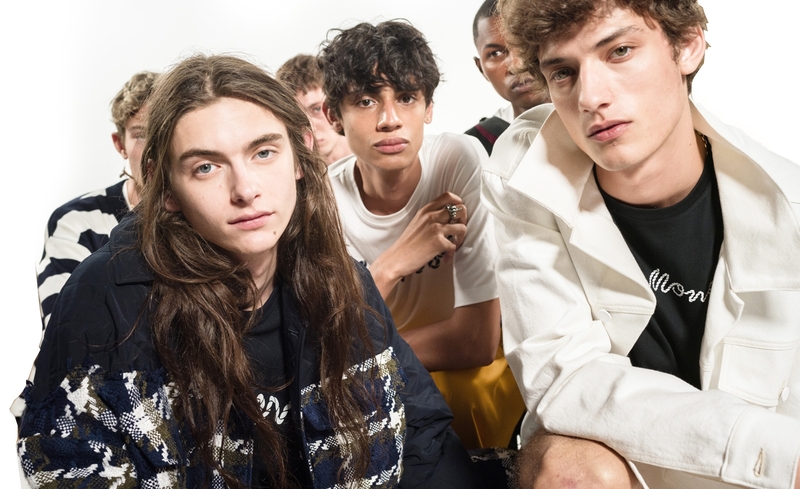 Plenty of stripes, spliced men's shirting, deconstructed trenches, and half-and-half pants were added to the fresh and ever-evolving line of looks. Utility wear is infused with the rest of the lineup to add some cool-girl femininity. With a dedicated song written by Nicki Minaj, Monse's Resort 2019 video featured supermodel Alek Wek and was captured with a pack-and-ship kind of feel, directly from within the shipping facilities. And there is an obvious "resort-like" approach to this season's styles as well, giving tailoring a cool, deconstructed spin. Fernando Garcia and Laura Kim also focused on comfort and unfussiness, building in new jersey dresses, sequined tanks, and satin tux trousers. Also referred to as cruise collections, Resort lines are created for affluent customers who expect to travel between Christmas and New Year. And for this Resort 2019 season, Monse is sending Monse girls off to warmer climates, weaving in screen-printed tees, varying shades of khaki, and plush fabrics.